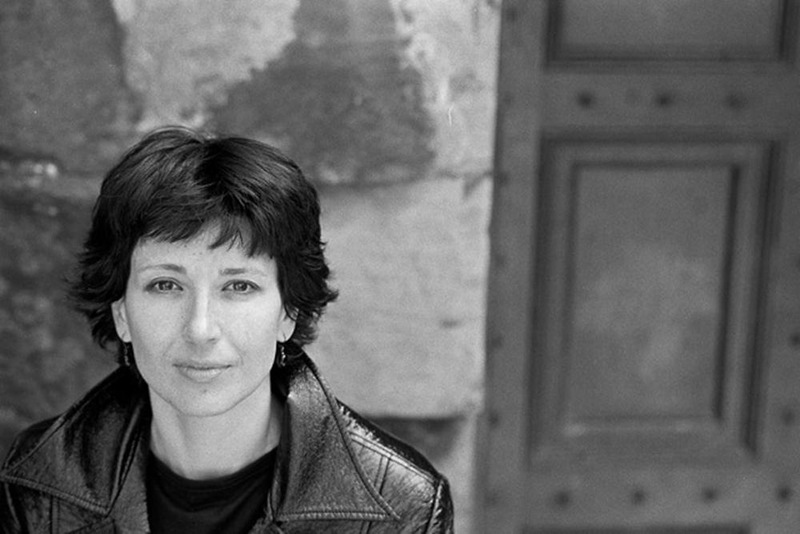 Kapka Kassabova is a poet, novelist and travel writer. Her family emigrated from Bulgaria to New Zealand just after the fall of the Berlin Wall. Street Without a Name (2008) is her coming-of-age story of communist Bulgaria; it was short-listed for the Prix du livre européen and the Dolmann Travel Club Award. Twelve Minutes of Love (2011), short-listed for the Scottish Book Awards, is a story of Argentine tango, obsession, and the search for home. Her novel Villa Pacifica (2011) is set in South America and her poetry collections are Someone else’s life and Geography for the Lost. She is also a translator from Bulgarian and a regular contributor for The Guardian, Intelligent Life, and the Scottish Review of Books. After spending her late teens and twenties in New Zealand, Kapka moved to Scotland and now lives in the Scottish Highlands. Julia Copus was born in London and now lives in Somerset. All three of her collections are Poetry Book Society Recommendations. She has won First Prize in the National Poetry Competition and the Forward Prize for Best Single Poem (2010). In 2012, she was shortlisted for the Ted Hughes Award for Ghost Lines, a cycle of radio poems following the journey of a couple undergoing IVF treatment. Her third collection, The World’s Two Smallest Humans, was published in 2012 by Faber and shortlisted for the T.S. Eliot Prize and the Costa Poetry Award. This year sees the publication of her first book for children, Hog in the Fog (Faber, 2014). She is co-director of the national Reading Round scheme for the Royal Literary Fund, and in 2008 was made an Honorary Fellow at the University of Exeter. Ghareeb Iskander is an Iraqi poet & writer living in London since 2002. He studied Arabic literature at Baghdad University. This year he will start a PhD programme at SOAS, University of London. He published the following books: Sawad Basiq (High Darkness), collection of poems, 2001, Beirut, (in Arabic); Semiotic Trends in the Critique of Arabic Poetry, 2002 Cairo, 2009 Baghdad (in Arabic); Mahafat Alwahm (A Chariot of Illusion), collection of poems, 2009, Beirut, (in Arabic); and A Chariot of Illusion, selection of poems translated into English, 2009 London, Af’a Gilgamesh (Gilgamesh’s Snake), collection of poems, 2012, Beirut, (in Arabic) which is now being translated into English by John Glenday; Al-Khitab (Discourse, by Sara Mills), 2012, Beirut; Translating Sayyab into English (London, 2013). He has taken part in Erbil, Reel and Wigtown festivals. Choman Hardi was born in Kurdistan-Iraq and was displaced from her homeland at the age of one month. She lived her first five years in a small town outside Tehran and went back to her homecity, Suleimanya at the age of 5. Displaced by political violence once again she moved to Kurdistan-Iran in 1988 and carried on with her education in Persian. She came to England as a refugee in 1993 where she was educated in Queen’s College Oxford (BA, Philosophy and psychology), University College London (MA, Philosophy) and University of Kent in Canterbury (PhD, Mental health). In 1996 and 1998 Choman published two collections of poetry in Kurdish. She has been widely anthologised and four of her poems are studied by English GCSE students since 2010. In 2008, and in collaboration with Mimi Khalvati, she translated Kajal Ahmad‘s poetry from Kurdish for the Poetry Translation Centre. This was published in a bilingual chapbook by Enitharmon in 2008. For her post-doctoral research she was awarded a two year Study Abroad Fellowship by the Leverhulme Trust to research about women survivors of genocide in Kurdistan- Iraq during which she was a visiting scholar at the Uppsala Program for Holocaust and Genocide Studies. The resulting book, Gendered Experiences of Genocide, Anfal survivors in Kurdistan- Iraq, was published by Ashgate in 2011 and selected by the Yankee Book Peddler as a UK Core Title. Currently she works as an independent writer and researcher and lives is Munich. 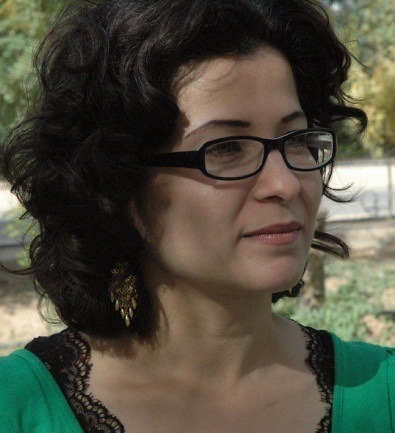 In 2012 and along with Najiba Mahmud and Bayan Salman she founded the first professional and indpendent feminist journal in Kurdish, Serdemi Jin (Women’s Era) of which she is Editor in Chief. Rachel Holmes’ new book, Eleanor Marx: A Life is published by Bloomsbury on 8 May 2014, described by Golden PEN Award winner Gillian Slovo as “a dazzling account of a woman and her family, an age and a movement, that grips from the first page to the last.” Holmes is also the author of The Hottentot Venus: The life and death of Saartjie Baartman (Bloomsbury) and The Secret Life of Dr James Barry (Viking & Tempus Books). Last year Rachel co-edited, with Lisa Appignanesi and Susie Orbach, the much-discussed Fifty Shades of Feminism (Virago). She was co-commissioning editor of Sixty Six Books: 21st Century Writers Speak to the King James Bible (Oberon, 2011) with Josie Rourke and Chris Haydon. Holmes is curator of the new Impossible Conversations talks series at the Donmar Warehouse in London. In 2010 she received an Arts Council cultural leadership award as one of Britain’s Fifty Women to Watch. 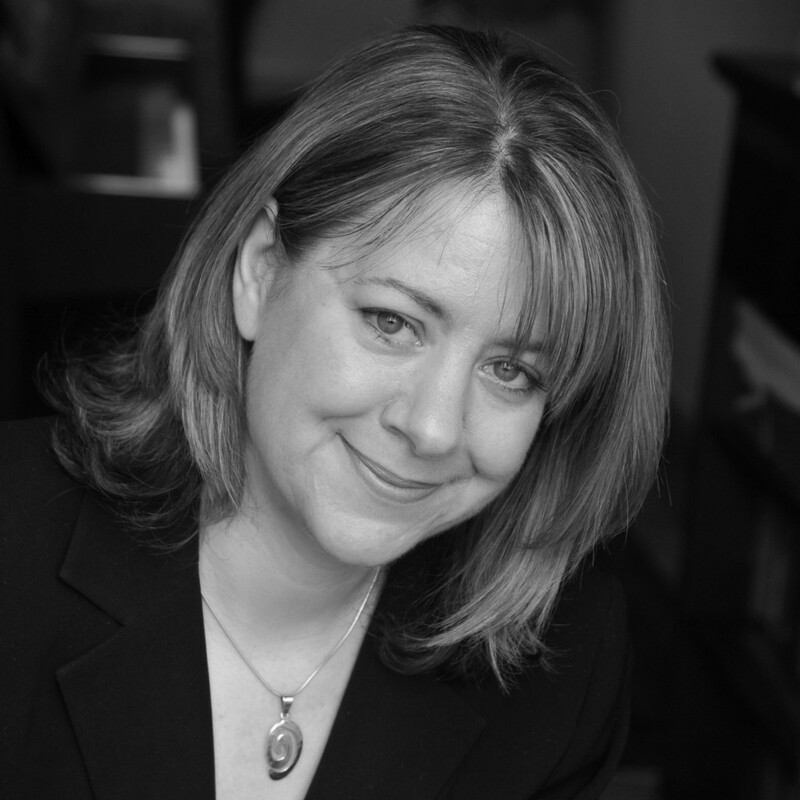 Rachel Holmes has worked with and for British Council literature festivals and international programmes since 2000. Elham Nassar Al-Zobaedi holds a BA Music, Institute of Fine Arts, 1984. llham is an active member of organizations promoting the rights of women, children and the elderly in Iraq and has been instrumental in the development of several programs. She currently represents the Society for the Protection and Development of the Iraqi Family in Basra. Ilham has conducted research on and written about violence against women and children and the problems of widows and orphans in Iraq and has contributed to various workshops. In particular, she has been active in the Amar International Charitable Foundation, where she set up the monthly Journal. She has been project coordinator at the Artists Association Institute since 1985 and is currently preparing a set of short stories. Awezan Nuri is a poet and activist. Awezan set up Pana in 2004 and has worked to raise awareness of the FGM issue and to lobby the government in Baghdad for a nationwide ban. In the political tinderbox of Kirkuk, blighted by frequent sectarian bomb blasts, raising your head above the parapet on an issue such as FGM inevitably puts you in the firing line. Pana also works with women who have suffered domestic abuse. Azhar Ali Hussein, Diploma in Arabic Language 2001. Azhar is currently studying at the Faculty of Fine Arts, Univer- sity of Baghdad and a member of the Union of Writers and writers in Iraq. She is a storywriter and poet and has had collections of poems and short stories published in many newspapers and magazines. 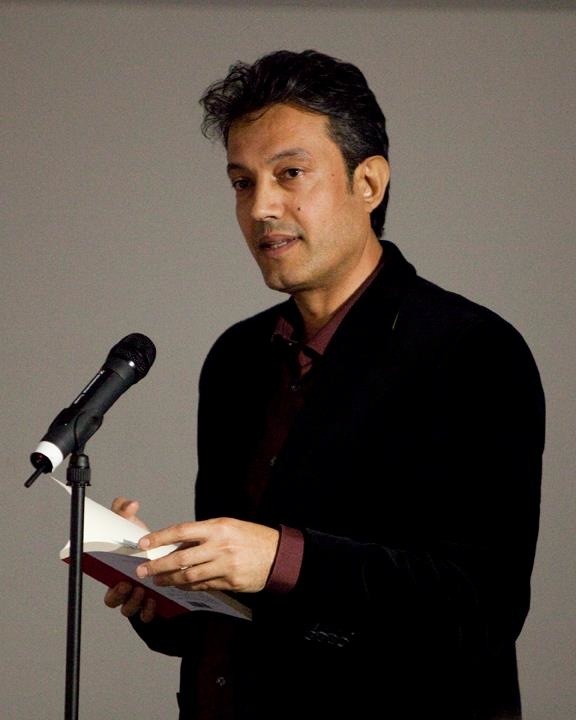 Azhar wrote the screenplay for a collection of short films and documentary shown at film festivals and has written numerous award-winning literary articles. Azhar is an activist in the field of women’s rights and civil society. Abdulmattalib Abdullah was born in 1962 and studied at the Technical Institute in the Health Department. During his studies, he spent most of his time on literature and has been an active member in literary forums in Erbil since then. He refused to join the military during the war with Iran and was considered a defaulter; at the time this carried an execution sentence. During this time he read continuously. An execution pardon for all defaulters was issued by the Baath government, and he surrendered and served in the military for four months. After the invasion by Kuwait, he fled the army and settled in Kurdistan. His published works include Water’s Shadow, a collection of poetry, as well as many essays on literary theory and translations of poetry. He has won awards for his poetry from the Galawezh Festival for Literature and Enlightenment, and for his literary criticism from the Kurdish Writers’ Union, as well as many others. Roj Mohammed Laiq (known as Roj Helebjeyi) was born in Halabja in the late 1960s. She trained as a teacher in Sulaiymania. She published her first poem under a pseudonym in 1986 in the Hawkary newspaper. Her literary career came to an abrupt end due to the Halabja chemical attack. She returned to writing after the Kurdish Uprising, publishing five poetry collections (including The Shadow of a Passion’s Foot and An Autumn of January’s Coat), for which she has garnered numerous prizes and participated in many literary festivals. Abdulsalam Salih Mohammed Balayi was born in 1965 in Duhok. He is a member of the Director’s Board of the Kurdish Writers’ Union and Editor-in-Chief of Svoors, the magazine for children. He has been active in international literature festivals and is interested in children’s human rights. His published works include Night’s Body and Night and Liquor. 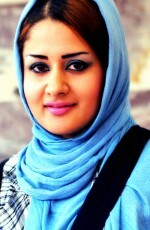 Ruaa Zuhair Shukr was born in 1987 and holds a BA in English Literature from Kufa University. She is a writer and translator. She is a member of the General Union of Writers and a founder member of Arabic Sard House. Her works include Lines With the Ink of the Soul and The Sun in her Last Escape. She has won numerous awards for her journalistic writing. Shakir Majeed Sivo was born in Bakhdida in 1954. He is active in Kurdish and Iraqi writers’ unions and has edited the Al-A’ila magazine and the Najm Bethnahren magazine. His collections of poetry in include I’ll Stand in his Fresh Air and Aphrodite’s Necklace, and numerous academic works on literature. He has also written plays, for both adults and young people. He was honored with the Syric Innovation Shield for poetry in Sydney during his visit to Australia in 2008 by the Assyrian-Chaldean-Syric council. Nidal Alqadi was born in 1964 and is an Iraqi poet and novelist. She also trained and worked as an engineer. Her books include the poetry collection Deposits for Relying Upon (2001), two story collections A familiar place for me (1999, won third prize in the Sharjah competition) and Sparrow of Edom (2001) and a novel Biography of a Shadow (2009, The Arab Institution for Studies and Publication). 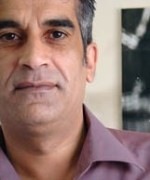 Samarqand Al-Jabiry began writing short stories in 1998 whilst working as a teacher in kindergarten. Her poetry collections include Twenty (1997) and Heart Fingerprints (2007). She received Sharjah Prizes in 2007, including first place for a short story in the Arabic world and for her story collection Two small bears. She has also presented a television show for younger audiences and continues to work as a correspondent and photographer for several newspapers and websites. Mariem Maythem Qasem Al-Attar is a poet and fiction writer from Misan, Iraq. A women’s rights advocate and established translator, her poems have been published internationally. Her first collection, ‘WAAD’ was published by Dar al-Arab Publishers. Ali Wajeeh is an Iraqi poet from Baghdad. His poems have been published in many Iraqi magazines and newspapers, and have been selected to be published in Iraqi and Arabic anthologies of poetry. Along with his poetry he has also worked as political and cultural editor for the Iraqi newspaper ‘Al- Mada, Al- Alam, Tato’ as well as others. He has received numerous awards for his poetry and has published three collections: ‘Manfaeal’; ‘My fingers speak, your body listens’; and ‘Cancer; Black Prose’. Ahmad Abdel Hussein is a poet living in Baghdad, Iraq. In 1990 he fled Iraq and lived in Canada until 2005 when he returned to Iraq. He runs the Iraqi magazine ‘House of Poetry’ and has numerous collections of poetry to his name including ‘Painful Beliefs’ (1999) and ‘Paradise of Nothingness’ (2008). In 2000, published jointly with Natiq Azeez ‘Baptize Me with the Wine of Waves’, a translation of the Iranian poetess Furog Farakh Zad poetry. He is the founder and president of the Poetry House in Iraq. Alongside his poetry works, he has worked as a cultural and political editor for many Iraqi newspapers including Nidaa’ Ar-Rafidain, Al Sabah, Al Mada, among others. Zhwen Shalai is a poet from Sulaimanyia, Iraqi Kurdistan with two poetry books along with numerous publications in national magazines and newspapers. She also works as a journalist and critic. Her first collection, ‘The Autumn of my Life’ was published in Sulaimania 2008. ‘Neither you stayed, Nor the rain’ was published by the Kurdish Writers Union in 2013. Nia Davies was born in Sheffield and studied English at the University of Sussex. ‘Then Spree’ – her first pamphlet of poems – came out from Salt in 2012. As well as her work with Literature Across Frontiers and Wales Literature Exchange, her current projects include collaborations with other poets and artists and co-editing the online journal Poems in Which. Her poems have been published internationally and translated into Turkish and Spanish. In spring 2014 she will edit the international quarterly Poetry Wales. 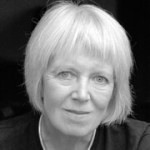 Vicki Feaver has published three collections of poetry: Close Relatives (1981), The Handless Maiden (1994) which won a Heinemann Award and was shortlisted for the Forward Prize, and The Book of Blood (2006), which was shortlisted for the Forward Prize and Costa Award. Her poem ‘Judith’, won a Forward Best Single Poem Prize. In 1993 she was awarded a Hawthornden Fellowship, in 1998 an Arts Council Writers Award and in 1999 a Cholmondeley Award. A new collection of poems, ‘I Want! I Want!’, is due out next year. SJ Fowler is a poet, artist, martial artist and vanguardist. He has published six collections of poetry, and been commissioned for original works of poetry, sonic art, visual art, installation and performance by the Tate, the London Sinfonietta, Electronic Voice Phenomena, Penned in the Margins, the Liverpool Biennale and Mercy. He has performed at venues across the globe and is translated into 13 languages. He is the poetry editor of 3am magazine, founder of the Maintenant series and curator the Enemies project. 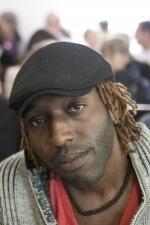 Kei Miller was born in Jamaica in 1978. He has written novels, books of short stories, essays and four collections of poetry. He did his PhD at the University of Glasgow where he presently teaches Creative Writing and Caribbean Literature. Dr Fadhil Thamir is President of The Union of Iraqi Writers. His is a well-known literary critic, editor and translator whose work has been widely published. His books include Iraqi Contemporary Stories (co-authored with critic Yasseen Al-Nasayyer,1971), New Landmarks in Our Contemporary Literature (1975), The Repressed and the Unspoken in Arabic Narration (2005) and The Poetry of Modernism (2012). Born in 1972 in Erbil Kurdistan, Dr Himdad Abdul-Qahhar is Dean at the College of Basic Education as well as Director of the English language centre and Director of Scholarships at University of Salahaddin. He has a PhD, M.A and B.A in English Language and Linguistics and since 1999 he has been a member of the teaching staff in the English Department, College of Education at the University of Salahaddin. Dr. Himdad is also an interpreter for the KRG government and clients including Sky News and the Los Angeles Times and a literary translator who has translated several books from English to Kurdish, including The Masque of the Red Death and several Sherlock Holmes novels. Dr Himdad worked as a panellist for the Fulbright Scholarship Programme and Humphrey Fellowship Programme. He participated in many writers courses, in training the trainer programmes.